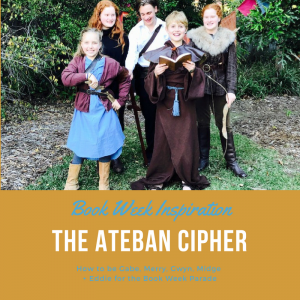 How to be Gabe (+ more) from The Ateban Cipher for Book Week! It’s the most wonderful time of the year! Well, one of them. 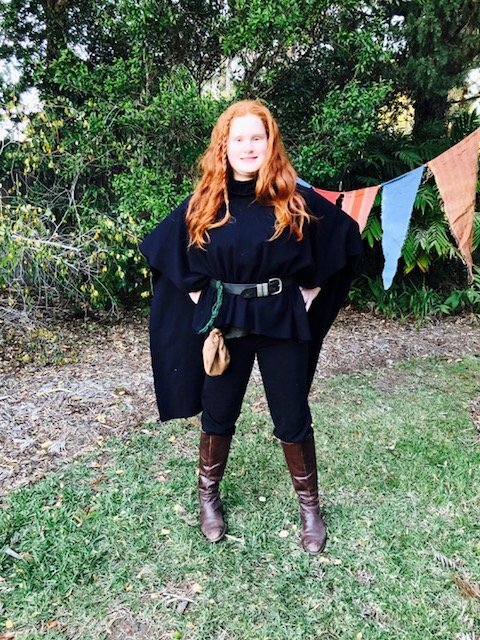 Regular readers of this blog will know that my thoughts on Book Week are divided along the lines of author (yay!) and not-crafty parent (stress!). 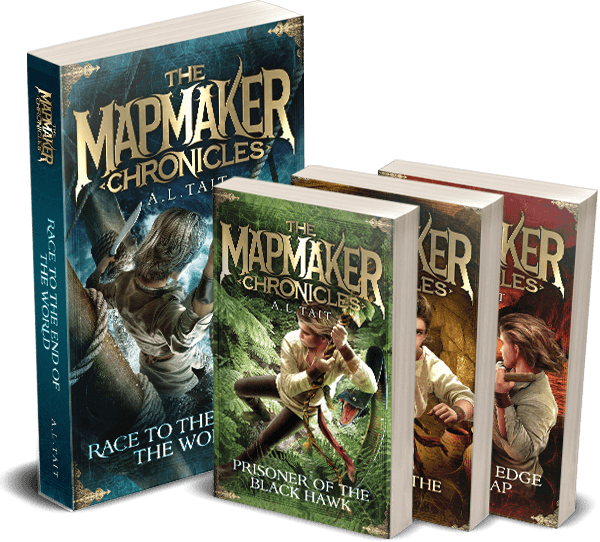 If you missed my post last year in which I outlined these thoughts at length – as well as sharing various fabulous options for being characters from The Mapmaker Chronicles for Book Week – you’ll find them here. 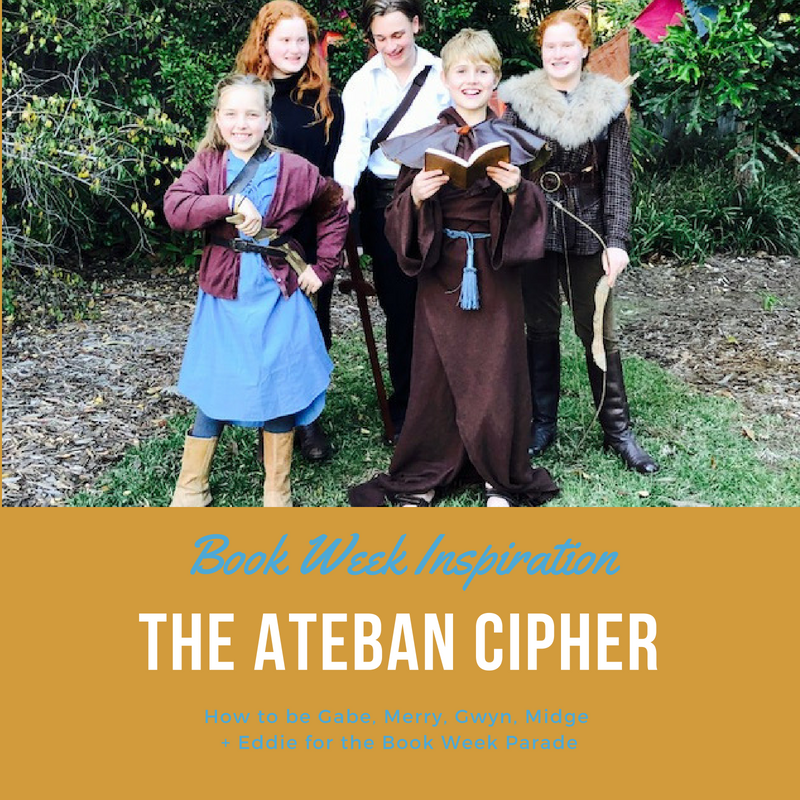 This year, we’re just diving straight in with idea on how to be Gabe, Merry, Gwyn, Midge and Eddie from The Ateban Cipher series for the Book Week Parade! Given my ridiculous lack of crafting skills (you can read about that here), I am incredibly lucky to be surrounded in my neighbourhood by really clever and creative friends – and their kids, who are willing to dress up for my posts. So I put out the call and one afternoon they all turned up and – well, have a look below at the results. This is the whole gang (minus Scarlett, see why below), and you’ll find some instructions below for working up your own Ateban Cipher magic at home. 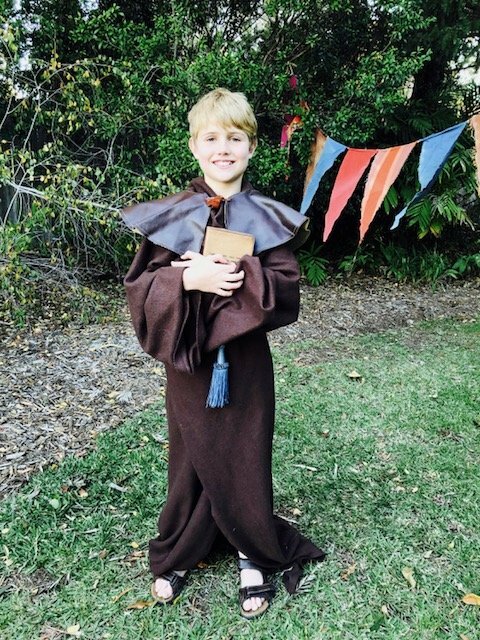 Having lived his whole life in a monastery, Gabe is very attached to his robe. You could get yourself a monk’s outfit like this one (easy peasy) or you could do as we’ve done here and fashion one yourself. 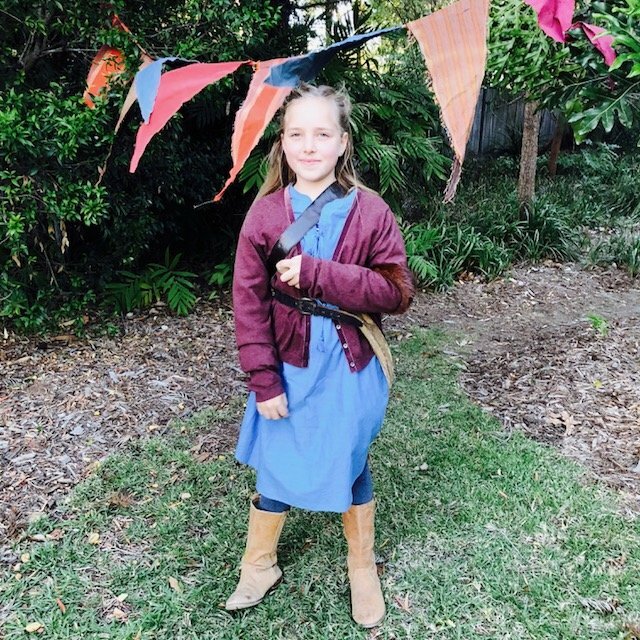 In this case, we used a slanket (yes, it’s a thing, you can read the story here), a curtain tie, a rather fabulous faux-leather short cape arrangement that adds an edge of toughness, and, of course, a pair of sandals (remember, Gabe’s nickname is ‘Sandals’, so these are key). Accessorise with a book – gold-covered for early Ateban Cipher, brown leather for the version Gabe carries for most of the story. Ah, Merry, of the flaming red hair, bow and arrow and can-do attitude. 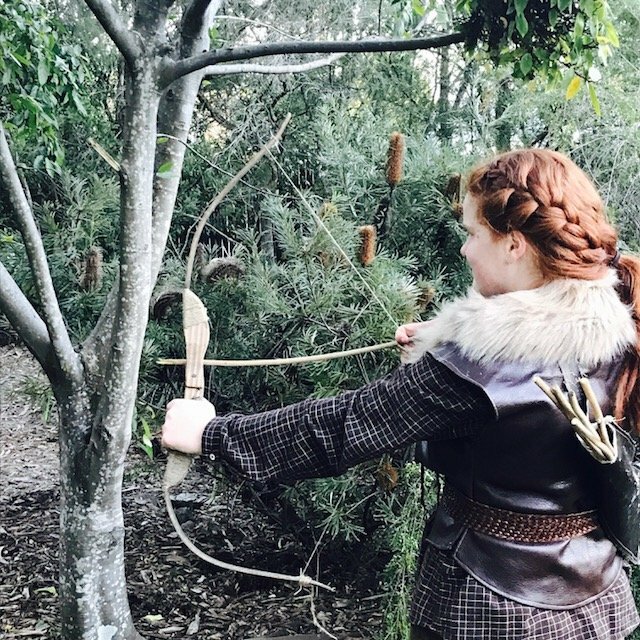 There is a little of the Robin Hood in her, and you could get a costume like this or like this and be in the zone (yes, both boys’ costumes but this is Merry we’re talking about!). 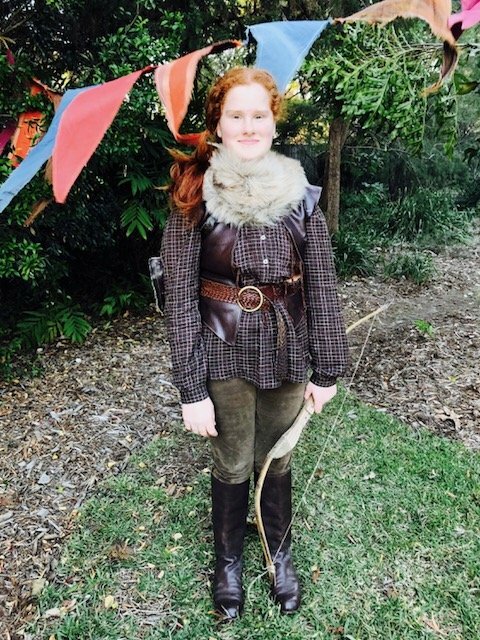 But, as long as you have the bow, breeches and a pair of boots, Merry is also easy enough to pull together at home and is a fantastic choice for the anti-princess in your house. Here, Belle is modelling a range of woodland tones, some faux fox from the dress-up box, and a stylish bow made by her brother. Add a cloak if your Merry likes a bit of swish and drama. When I think of Gwyn, I think of dark shades because she goes where she wants, when she wants, often at night. With black pants, black shirt, boots, and belt, Lola has channelled Gwyn’s inner fierceness beautifully. The crossbow is Gwyn’s weapon of choice, so add one if you have one (something like this might do the trick), and perhaps pop a tea cup in that little pouch she has. After all, her mother’s tea cup is Gwyn’s most treasured possession. 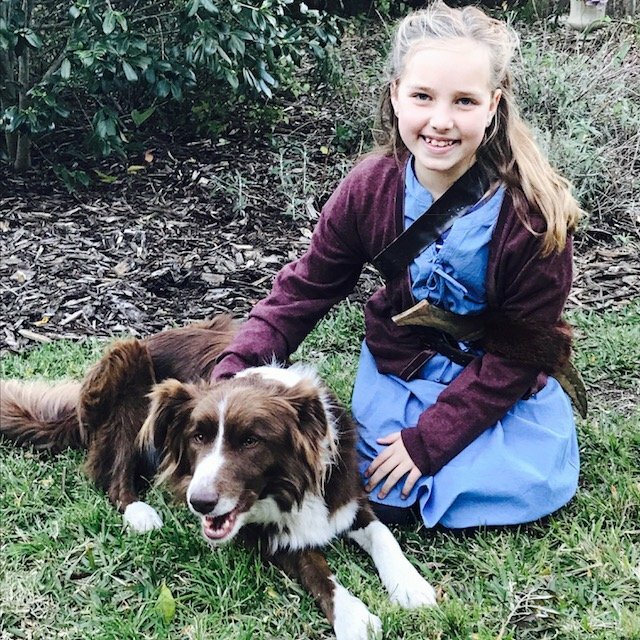 In essence, Midge, here represented by the lovely Fleur, could wear the same as the other girls – boots, breeches, flowing shirt – but she also wears a dress for the castle scenes. I think of her in softer colours than the older girls, and these blues and pinks are beautiful. Unfortunately, we didn’t have enough neighbourhood girls to create a real-life Scarlett for our shoot, but I always think of her dressed as she was for her visit to town with Gabe, and that means putting her in a peasant-style dress with a basket. Something like this would work well. Oh but we had some debate about Eddie. Should we portray him as dressed in rags as he is for much of The Ateban Cipher story, or should he be dressed as the prince he truly is? 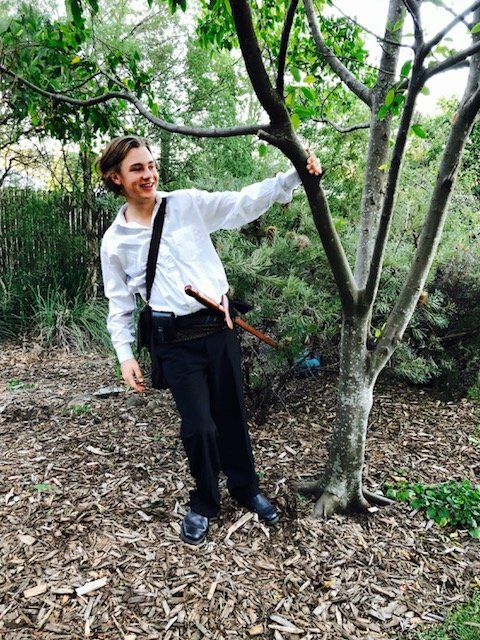 In the end, we decided that the best approach is half and half, so Finn wears a plain white shirt, black pants and ‘dress boots’, with a little touch of royalty in his sash. If you wanted to go all out, you could give him a crown and a velvet cloak (something like this maybe), and, of course, that tiny gold tattoo that marks him as a true prince. As you can see, we had a lot of fun creating our Book Week versions of Gabe, Eddie and the band of rebel girls, and non-crafty mums (I wave to you in solidarity) will find it easy enough to replicate them without too much trouble (and no sign of a hot glue gun). It’s not an exact science, and, as I’ve discovered, everyone has their own interpretations of the characters and there are NO wrong answers – they look exactly as you envision them in your mind (or whatever your dress-up box can come up with…). 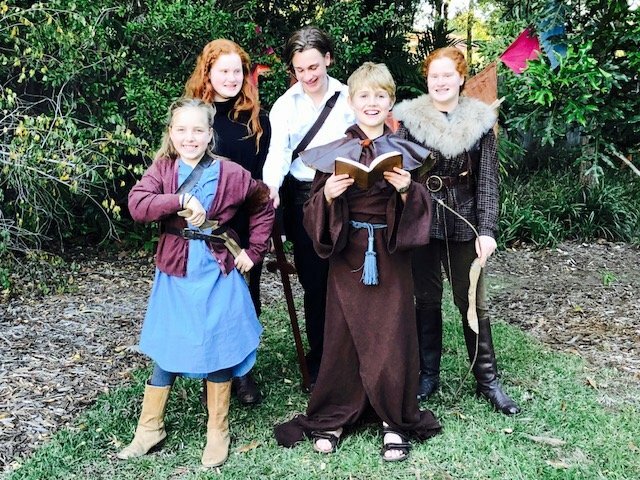 If your kids choose any of these looks (or The Mapmaker Chronicles) for their own Book Week parade, please share pics with me on Facebook, Twitter or Instagram. I just love seeing what you come up with! You’ll also find some ideas on how to be Quinn and Ash from The Mapmaker Chronicles here. Are you new here? 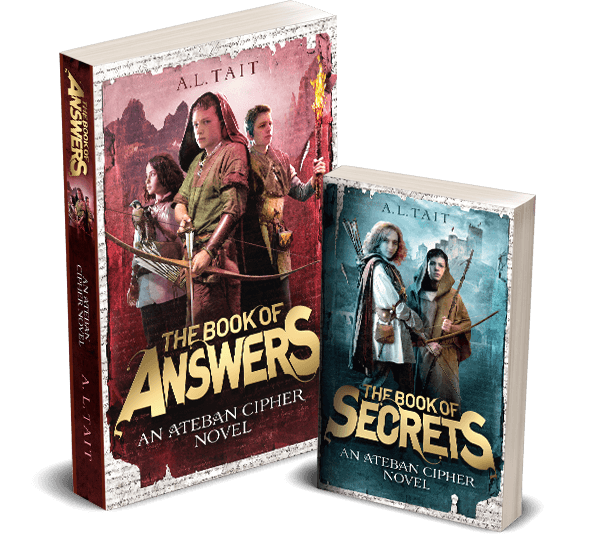 You can find out more about the Ateban Cipher books – full of secrets, codes, rebel girls and adventure – here.